$5 for a Foldable Travel Tote w/ Free Shipping! (reg $20) Goes from Big Tote to Small Clutch! 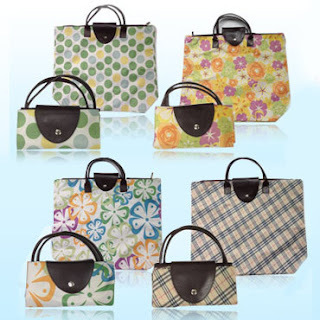 Head over to Saveology to score your choice of cute, foldable travel totes for only $5 shipped! These regularly cost $20. There are 4 different designs to choose from, all costing $5 except the Polka Dot design, which is $9.